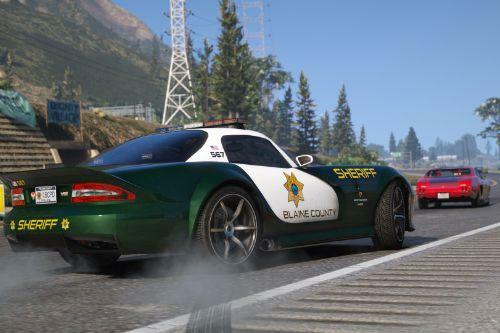 Version 2.0 introduces full livery support with 4K template and new variants: SAHP with a lightbar, US Air Force chase car, unmarked LSPD and of course the stock variant. It can be used to replace the IVPack version and therefore, it can use original Uranus tuning parts at LSC. 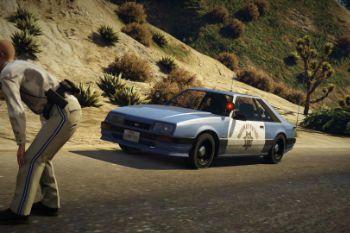 It's 1982 - police sports cars exist but they are faulty and don't withstand prolonged interstate highway chases very well. 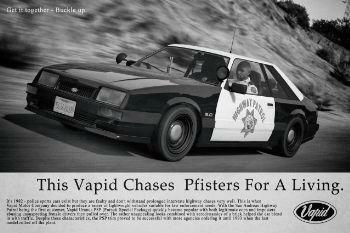 This is when Vapid Motor Company decided to produce a series of lightweight vehicles suitable for law enforcement needs. 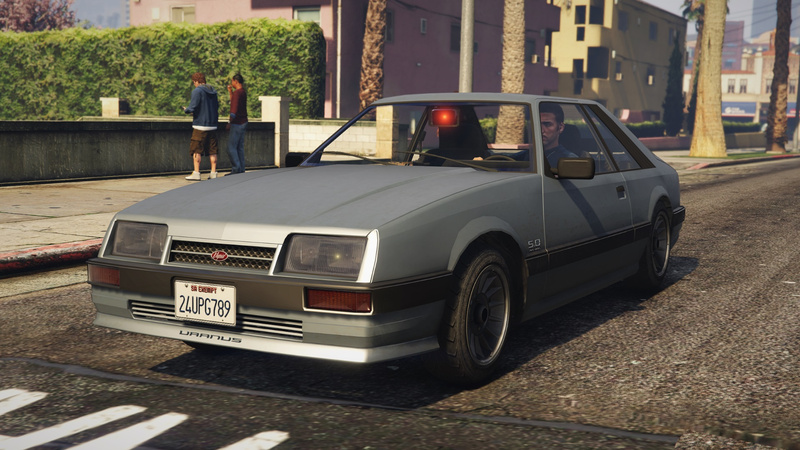 With the San Andreas Highway Patrol being the first customer, Vapid Uranus PSP (Pursuit Special Package) quickly became popular with both legitimate cops and imposters abusing unsuspecting female drivers they pulled over. The rather unappealing looks combined with aerodynamics of a brick helped the car blend in with traffic. 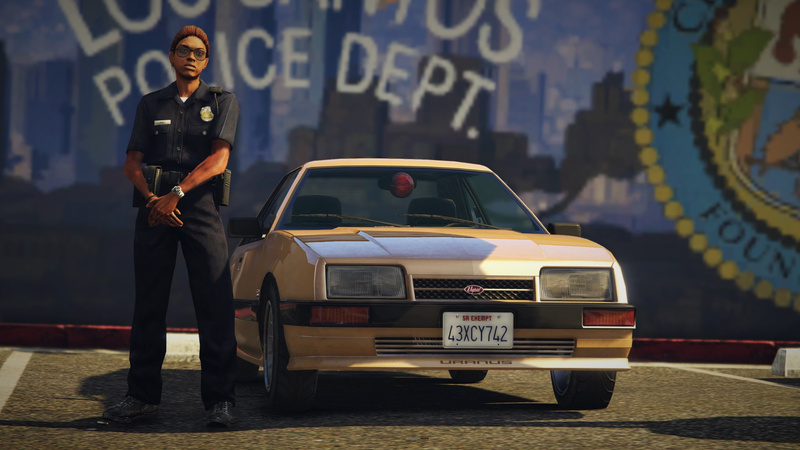 Despite these characteristics, the PSP trim proved to be successful with more agencies ordering it until 1993 when the last model rolled off the plant. Speeding on airport tarmac for regular citizens - disallowed. Speeding on US Air Force airfield damaged tarmac in the middle of nowhere for experienced pilots behind the wheel of a landing support chase car - encouraged and required. Such vehicles were used to support landing of gigantic spy planes by telling the pilot that one miscalculated tilt could lead to their doom. 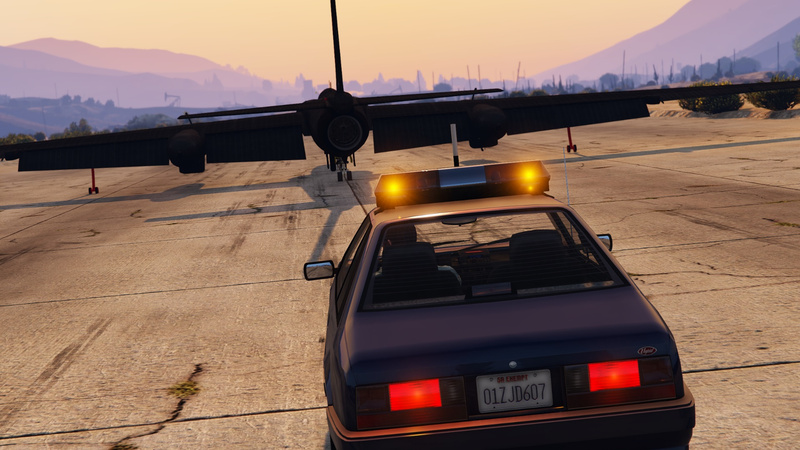 Having received recommendations from San Andreas Highway Patrol after not falling apart from highway chases, USAF ordered 20 models of Vapid Uranus PSP for landing support purposes. 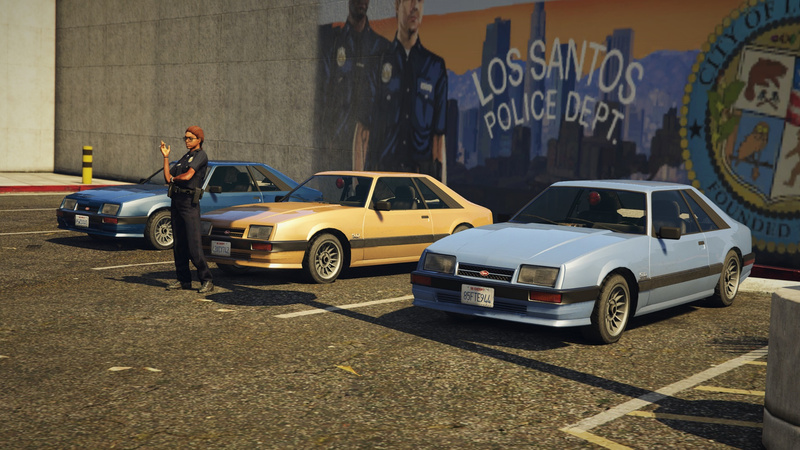 Restored examples can be used as makeshift police cars for pranksters. 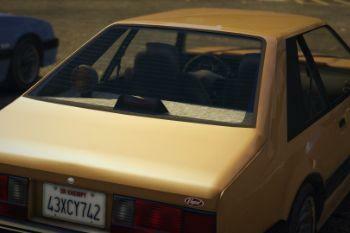 - General: 4K livery support, new steering wheel, improved dial visibility (not obscured by the steering wheel anymore). 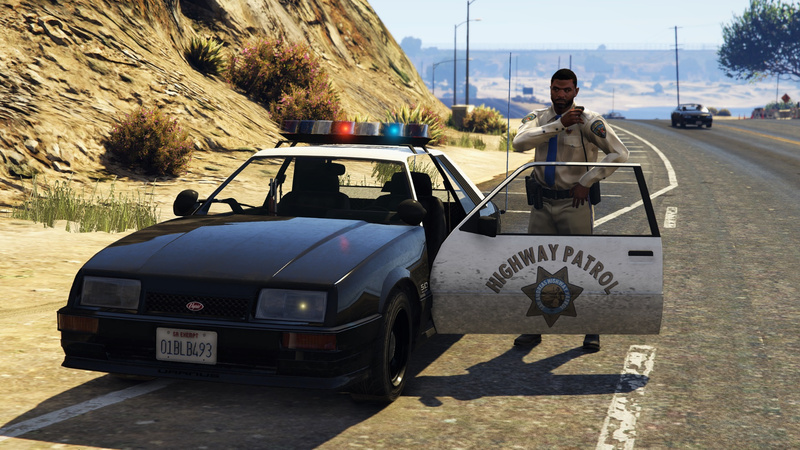 - Added stock variant, second SAHP variant with an improved Vector lightbar, an unmarked LSPD variant, a US Air Force chase car variant. - SAHP Uranus (slicktop): two opened spotlights, three liveries (door decals + rear HIGHWAY PATROL + Authority, Obedience and Force letterings, door decals + rear HIGHWAY PATROL, door decals only), added retro-styled door decals, added wobbling antennae, added yellowish headlights and headlight flashers, 5.0 fender decal received "Police Cruiser" lettering below. 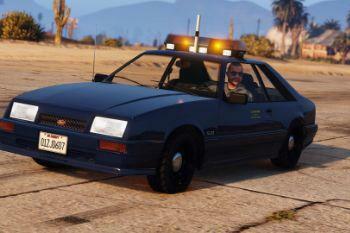 - United States Air Force chase car model (usafuranus). 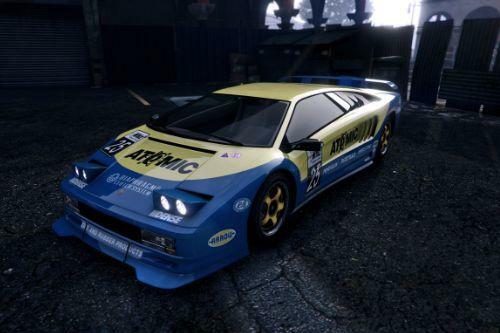 • Full livery support; 4K template available in the archive. • Secondary colour: plastic trim. 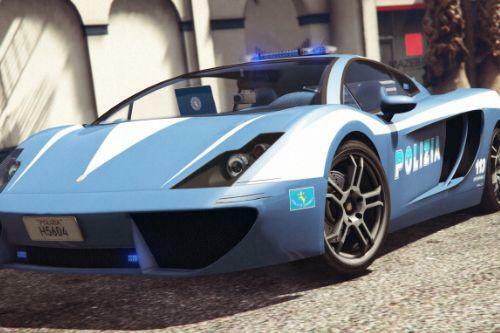 • Improved light design: added fog lights, larger front indicators, new taillight design, added third brake light. 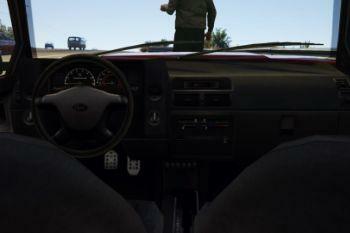 • Interior tweaks: new steering wheel, automatic transmission gear stick, dashboard URANUS badge, minor texture edits. • New badges: bumper URANUS (colourable), fender 5.0. 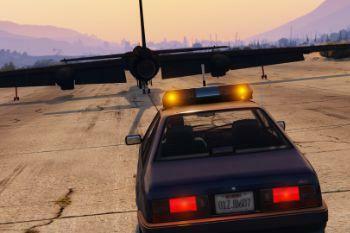 • New engine sound (stock and USAF variant only). • Improved handling (faster than IVPack version). 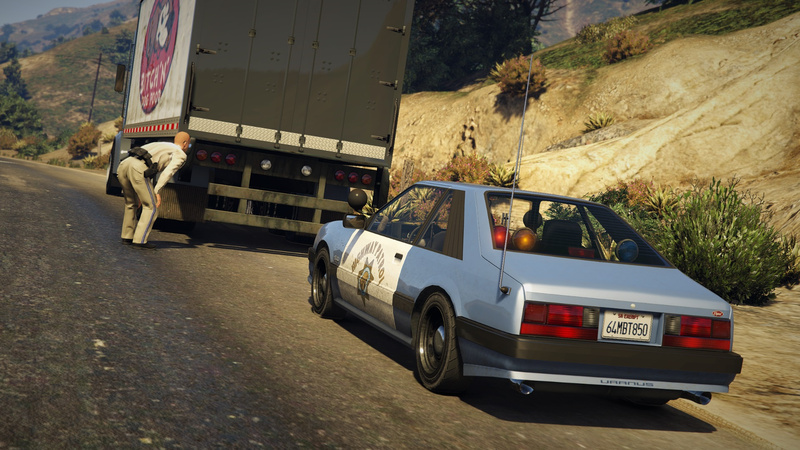 • All basic vehicle functions: breaking glass, dirt mapping, all LODs etc. 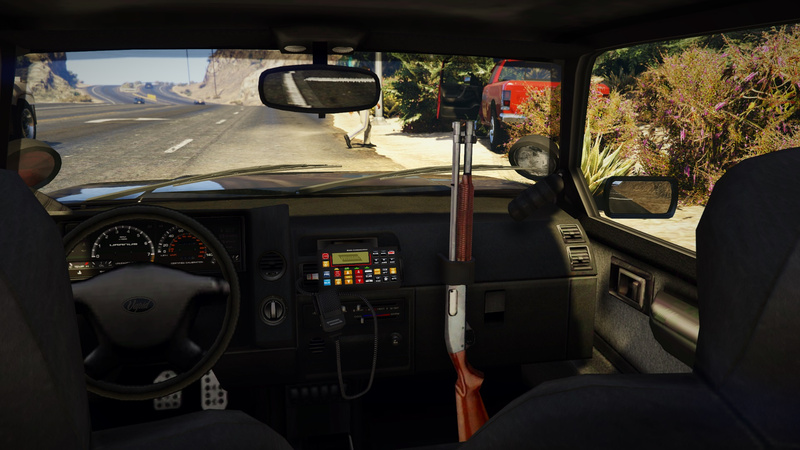 • Police equipment on par with Realism Dispatch Enhanced (RDE) level of details: a radio based on General Electric Rangr16, a dashboard-mounted shotgun, retro-styled SAHP liveries. • "Certified calibration" speedometre decal. • Two models: standard and slicktop. 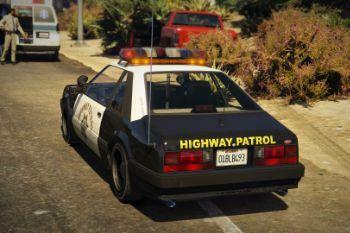 • Standard: lightbar based on Federal Signal Vector + interior red steady burn as an extra. 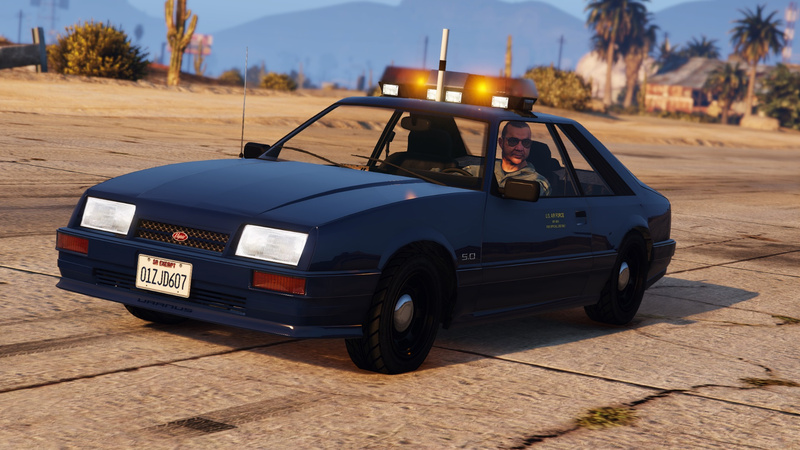 • Slicktop: custom emergency light setups (as extras) based on real-life California Highway Patrol setups from 1984 (older, three-light rear deck setup) and 1992 (newer, with full amber lightbar), opened spotlights. • Choice of many colours. • New, colourable stock wheels. • Two emergency light setups (as extras) based on vintage 1980s and early 1990s unmarked setups. 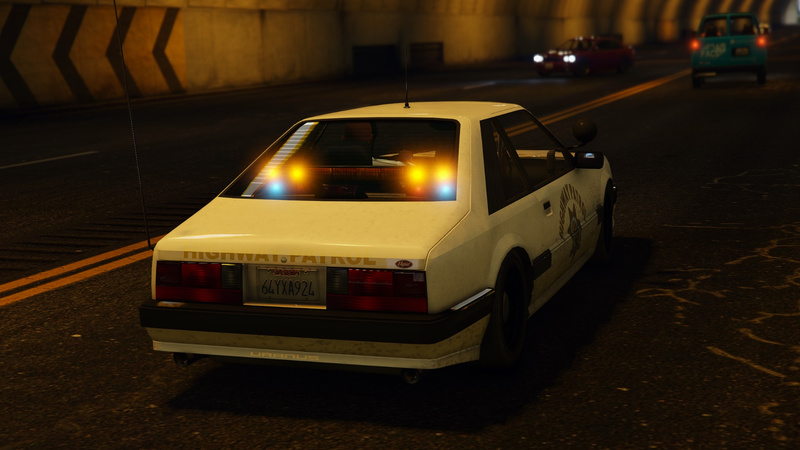 • Unique amber lightbar, based on Federal Signal Streethawk. • Aircraft-style roof antenna and right fender wobbling antenna. • Yellow-on-blue inner hood stencil. 4. 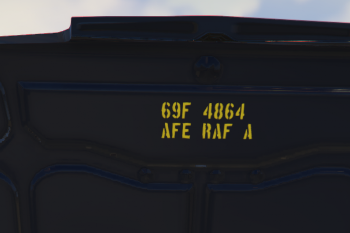 Move the provided dlc.rpf inside "vturanus". Enable 'edit mode' and when OpenIV prompts you to copy the whole catalogue to 'mods' folder, do it. 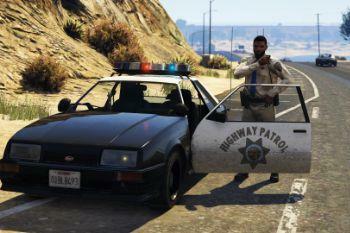 Rockstar Games - original car model, original police equipment. 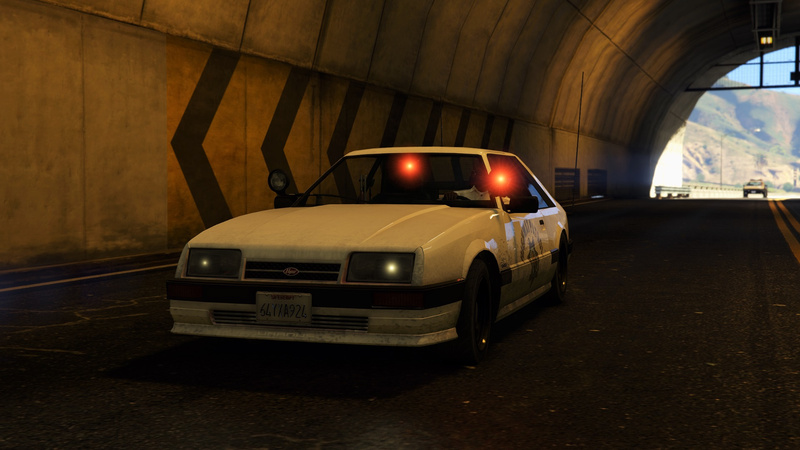 _CP_ - car model conversion to GTA V.
Voit Turyv - car model improvements and variants, UV mapping and template, glass shards, text files. 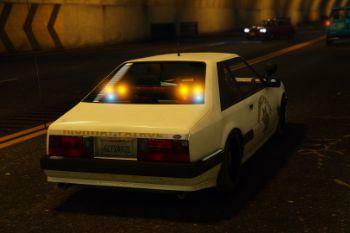 11john11 - emergency lights model (interior mirror, rear deck amber bar with blue and red lights, US Air Force variant lightbar), retro SAHP livery design, carcols.meta edits, research, screenshots. Lundy, Solo - emergency lights model (rear deck, circular), shotgun model. 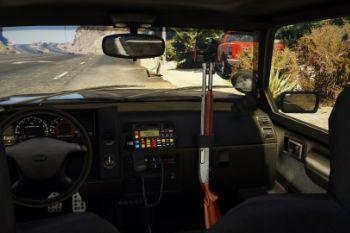 Shmurda - radio model based on General Electric Rangr16. 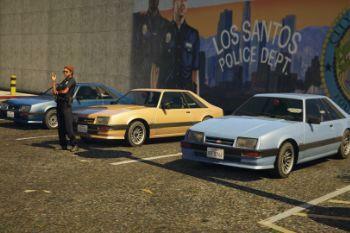 MGgames100 - new wheels (stock, unmarked LSPD). 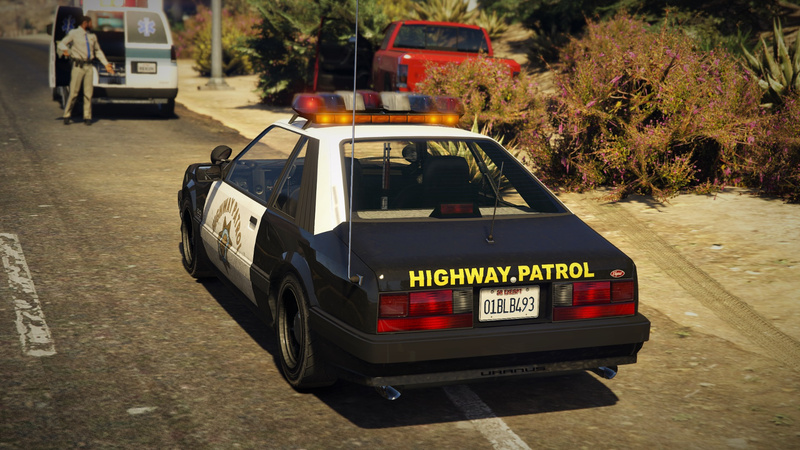 Yard1 - livery design, Federal Signal Vector conversion from GTA IV. Boywond - textures: URANUS (bumpers), 5.0 (fenders), lore-friendly radio retexture, poster, beta testing. If you want to modify the model or reupload it somewhere else, make sure to contact us and give credit. Great update, man. All the new variants look awesome :)! 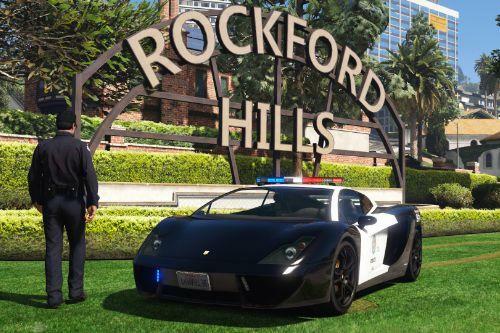 By the way, what vehicles did you use in the background of the 6th image? @11john11 Looking forward to its release. 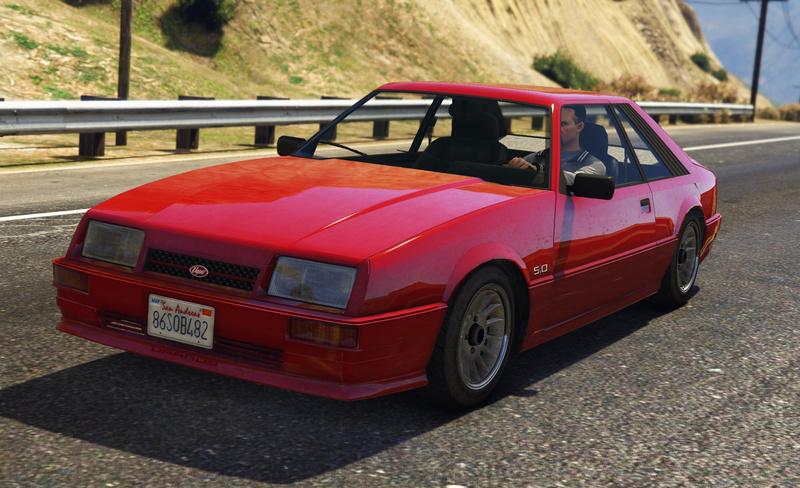 I was also wondering what the red pick-up was. @11john11 Alright, thanks man :). 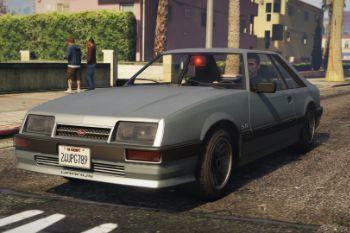 What's the possibility of adding mods to this sick ride? 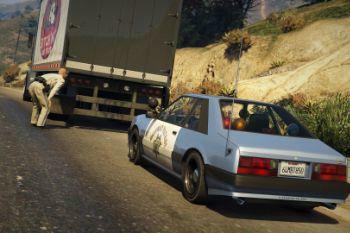 Is the updated civilian version in VW? I have the psp but not sure if its in vw or rde. @axslayer33 Not yet, as of 1.7 version. 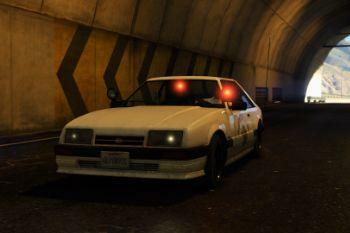 Are the red emergency lights at the front supposed to flash/strobe? Mine are static, thanks. 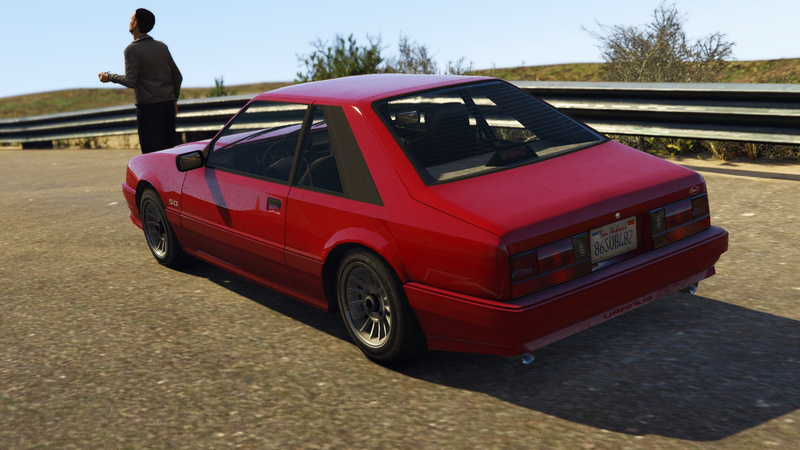 Why did you change the taillights? @F117A Yes, they are static, or more correctly - steady-burns. California vehicle code requires all emergency service vehicles to use at least one red steadily burning light at the front. 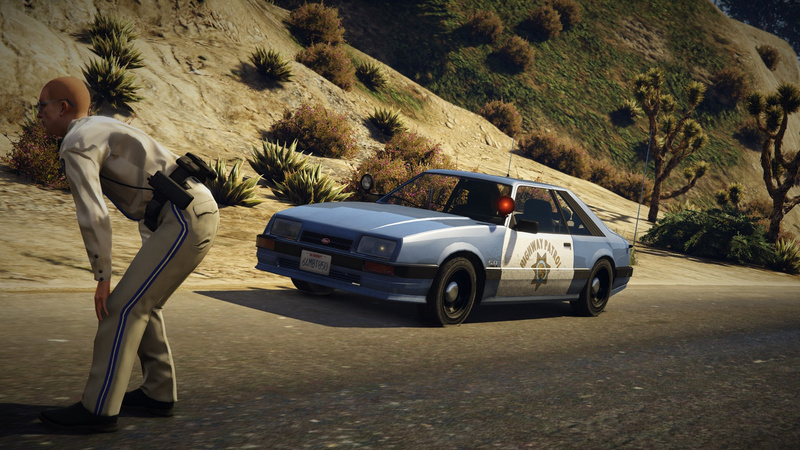 San Andreas is based on California, and we decided to make them steady-burns for realism. 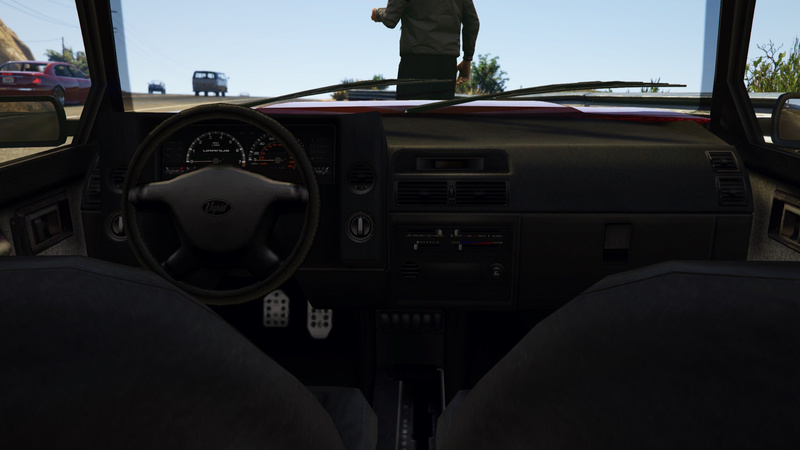 Realism Dispatch Enhanced (RDE) also follows this principle, and police cars there feature a static, front-facing red light. 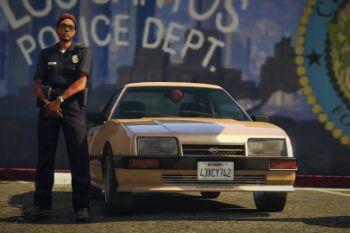 @Claude_Lib This Uranus is supposed to resemble Ford Mustang SSP, especially newer models from 1988 to 1993. 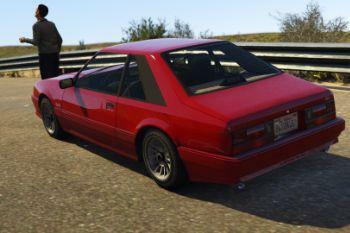 We decided the original taillights didn't fit the SSP image. 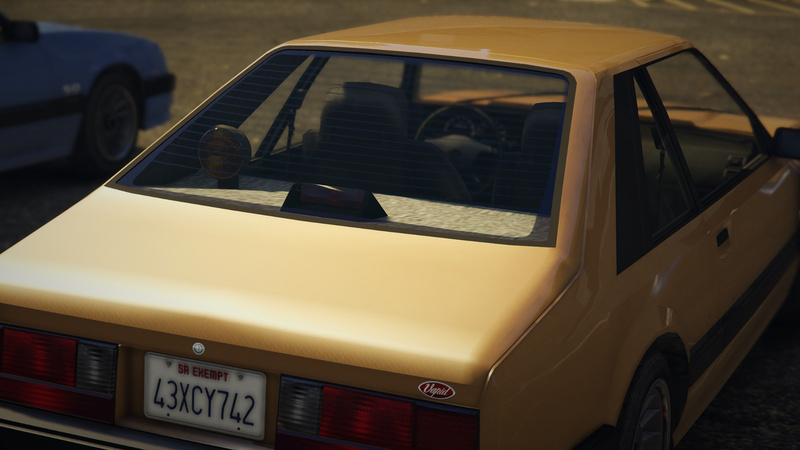 The front grille and front indicator lights changed too, its those details that prevents me from actually using these mods. Good job though! 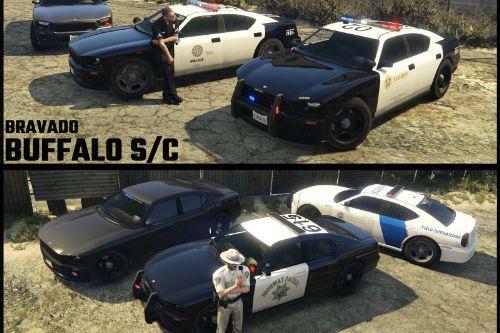 @gunziness What's the problem with the changes? I personally think it looks better now. And one more thing. He also used some of the pictures of your mod in his video I've mentioned above, which is very scummy. Wait so can someone explain to me how i can get tuning parts for it.